Safety technology is innovating at a rapid rate in North America and, not surprisingly, many Canadian companies are on the leading edge of delivering and adopting these technologies, including business intelligence (BI), Internet of Things (IoT), big data, and machine learning — a precursor to artificial intelligence (AI). Most safety professionals would not put their organizations or themselves in the “techy” camp. Eighty per cent of safety professionals said they’re not using proven technology to enhance safety performance at their organizations, according to a 2017 survey of more than 500 EHS (environmental health and safety) professionals by EHS Daily Advisor. However, this simply means there is low-hanging fruit to take advantage of. Research has found companies that use cloud software to support safety management systems, for example, can drastically cut injury rates. As it turns out, emerging technologies are perfectly aligned with the needs of safety professionals. That’s because the usual safety challenges organizations have — with distributed workforces, the need for more front-line participation, and not enough data (or too much) — are exactly the types of problems emerging technologies are starting to solve. The following five examples show how a steady inflow and maturity of accessible tech for safety professionals and their organizations is reducing operating risk. Ever since “gamification” became a word, companies have been experimenting with business-to-business applications of mobile games, apps and social clubs. Most safety professionals believe that improving workforce participation in safety is key to improving safety outcomes. So, how do we use emerging technology to increase participation? Can safety be fun? Should it be gamified? There are no simple answers but progress is being made on developing algorithms that gauge an individual employee’s level of safety risk based on their behaviour pattern, and then auto-escalate to course-correct the employee’s behaviour or provide an opportunity for education or supervisory feedback. On the flip side, employees with high levels of safety participation can be more easily acknowledged through mobile notifications. In essence, mobile technology is evolving to encourage and acknowledge positive behaviours, and to help course-correct at-risk behaviours in a constructive way to protect and build strong safety cultures. For organizations with workforces that operate outside across four seasons, a significant portion of hazards are attributed to the weather. Since mobile phones already do a great job of associating a person’s precise location with weather conditions (such as precipitation or humidity), better automation around the link between weather and daily outdoor tasks could mean better “just in time” prevention using mobile devices. Push notifications sent straight to the front-line workforce as they reach a job site can help reinforce the right procedures for using equipment in extreme weather. Research is already being done in this area involving daily forms filled out by crews in the construction and energy industries, with positive early results. 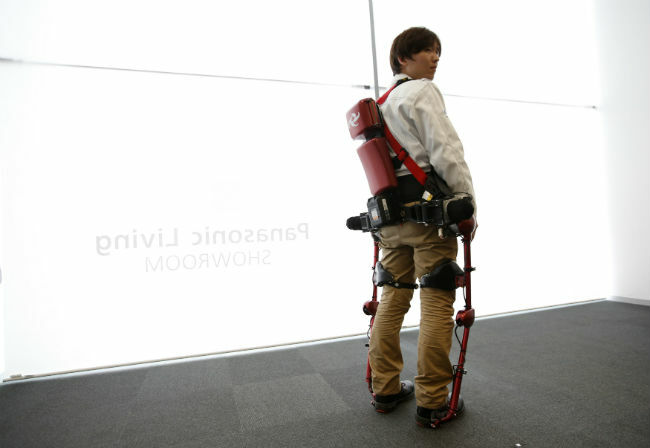 Wearable robots or “exoskeletons” are the kind of physical technologies that will serve as “risk substitutes” or “engineering controls” in the hierarchy-of-controls pyramid that safety professionals are taught early in their training. For industries such as warehousing, construction and manufacturing — where repetitive heavy lifting is common — these technologies can help augment the power and skill of the employee while reducing the risk of ergonomic injuries. Wearable robots were first developed for military purposes and are expected to transition into mainstream commercial applications. Similar to the advancement of robots in auto manufacturing, these “game changers” could certainly improve productivity and lead to fewer injuries. However, they also introduce new risks such as “struck bys” which should be carefully monitored. With more organizations using safety software over pen and paper or Excel, the amount of available safety data has skyrocketed. Information from daily safety activities such as inspections, audits and behaviour-based observations is already providing actionable insights to decision-makers. Early adopters have completed millions of these forms through mobile apps, creating billions of data points. However, most of this data is siloed within each organization’s walls. But this is expected to change: The sharing of rich leading-indicator data across organizations and industries is taking shape behind the scenes as benchmarks are created to help the C-suite better gauge their organization’s true risk. For example, the question “How many hazards should my organization be identifying in my industry to be in line with top safety performers?” or “Is the average time to completing corrective actions in line with our industry?” can soon be answered in real time through cloud software, helping organizations build a safety culture that is focused on positive behaviours, prevention and continuous improvement. How all this safety data is being visualized is also changing. Safety professionals are used to paper forms, Excel spreadsheets and difficult monthly or quarterly reporting in an effort to demonstrate progress on safety initiatives. The process is typically painful, and requires significant lead time and administrative effort. Safety professionals don’t have the same straightforward path to proving success in reducing risk that other functions do. The real impact of this new safety technology will be experienced differently across safety professionals, depending on their ability to align safety technology initiatives with corporate goals and successfully lead change management processes. These two factors are best accomplished when safety professionals use safety technology as the catalyst for an overarching safety performance goal for the entire organization — not for technology’s sake in and of itself. Nonetheless, safety professionals will need to stretch themselves to think about information differently (not forms but data to make decisions), be more responsive to feedback from the front lines (instant feedback through mobile apps) and use leading indicators in new ways to drive positive behaviours (AI-driven push notifications about EHS hazards). Luckily, safety professionals are up to the challenge and excited to leave the 1990s version of safety behind to build the safety function they’ve always wanted. Adrian Bartha is CEO at eCompliance in Toronto. For more information, visit www.ecompliance.com.